The Roosevelt High School band practiced its routine for the Macy's Thanksgiving Day Parade on Tuesday at the school's football field. 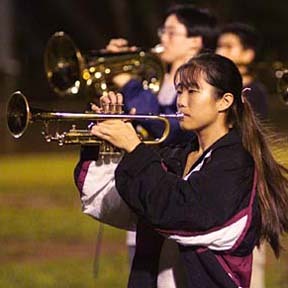 Among the members practicing was trumpet player Stacie Hata. The 104-member band leaves tomorrow for New York City.